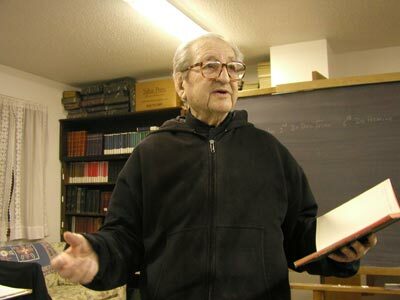 On Sunday, January 9, 1984 at Saint Benedict Center, Brother Francis Maluf recited some of his of poems from memory. When you have a philosopher that is also a gifted poet, you have the perfect combination for meaningful artistic expression, which elevates both the mind and the heart simultaneously. Brother Francis came from Lebanon and his people had a great reverence for poetry, so much so that the front page of the daily newspaper had to have a good poem if it wanted readers. His own poems are built upon scriptural as well as philosophic themes. And, to spice them up, he does his own animated recitation. Enjoy the wit, the humor, the insights, of the twenty eight minutes of the best of Brother Francis.